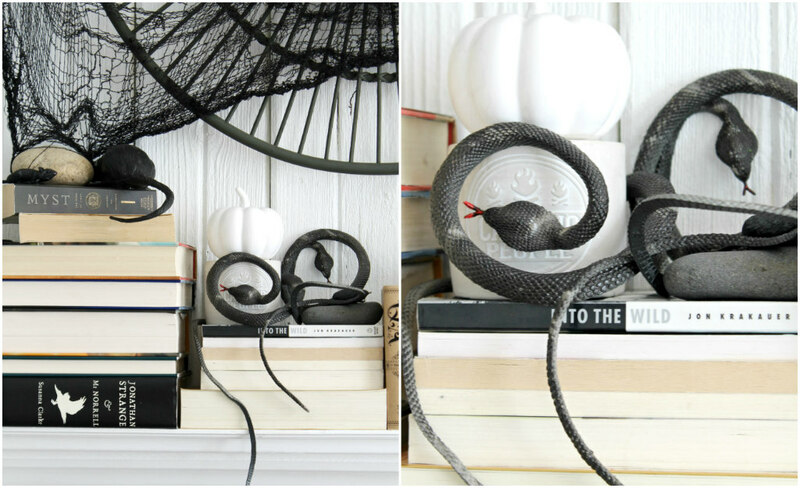 My boys and I did a little Halloween decorating around our home and today I wanted to share our scary Halloween mantel with you. 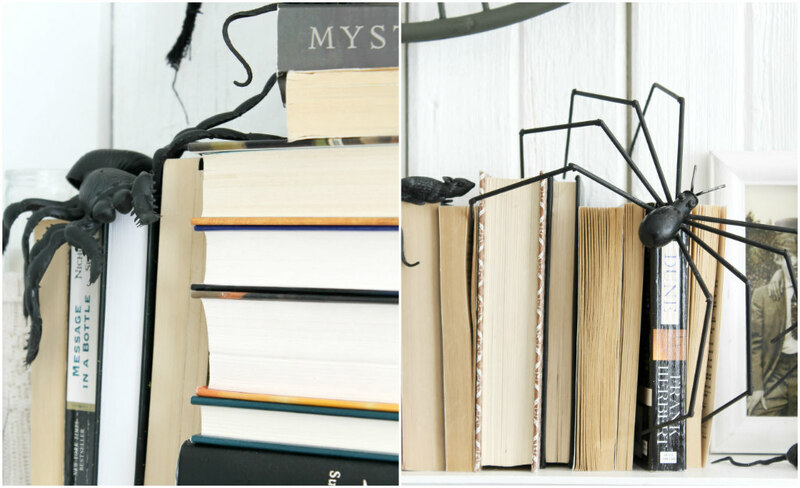 When it comes to Halloween decorations I like to create fun little vignettes that tell a story rather than just place decorations here and there. 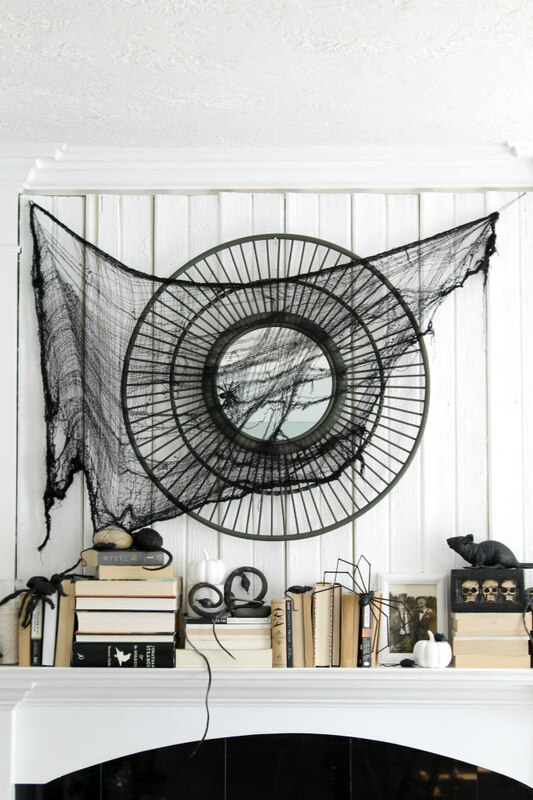 If I have too many Halloween decorations all over the house it starts to drive me a bit batty and I want to take it all down before Halloween even gets here. So the story I created here is that this is an old creepy house that has been abandon for years. It was abandon because it got so badly infested with rats and spiders and snakes..... Oh My! 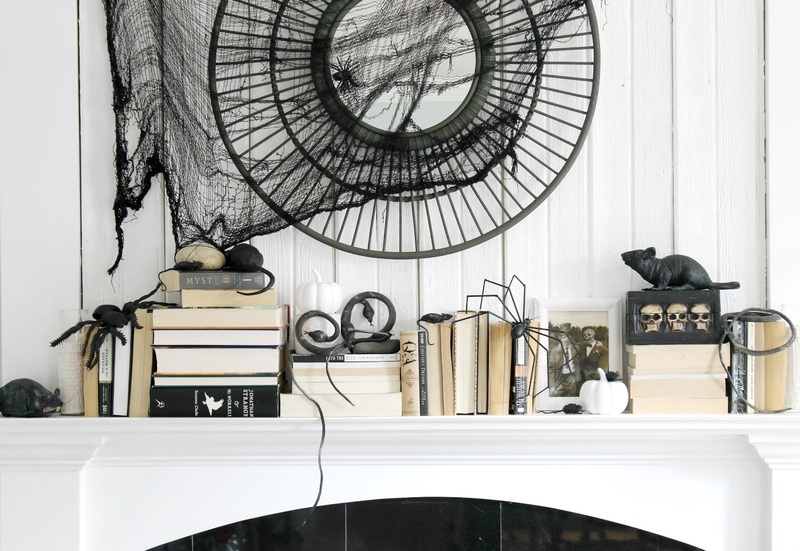 The mantel that was once a cozy place where the owners kept their beloved books, where they would pick one off of the mantle and cuddle up on on the sofa with the fireplace roaring and enjoy the stories they would read. But Then.... Out of No Where ... These dirty rats and spiders and snakes came out of the cracks in the walls and took over the house! The owners left, never to return. 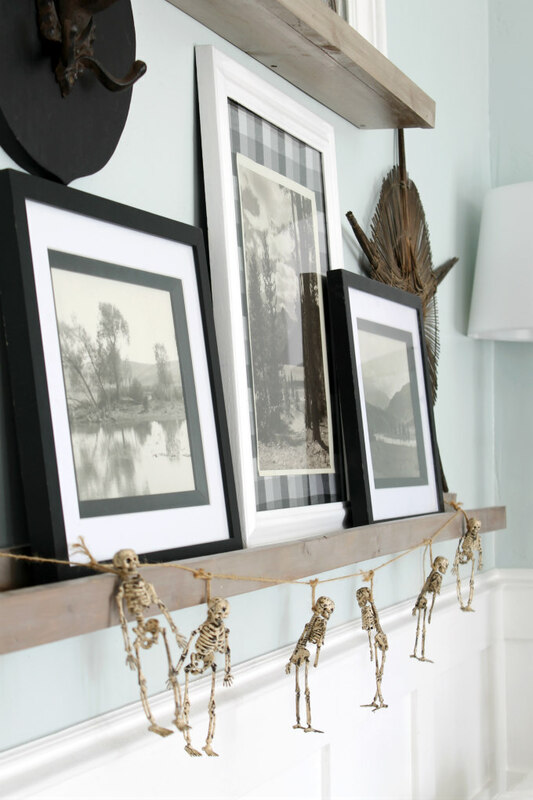 We also hung a strand of hanging skeletons from the picture ledges. But wait! There's more to come. . . .
this looks so awesome! 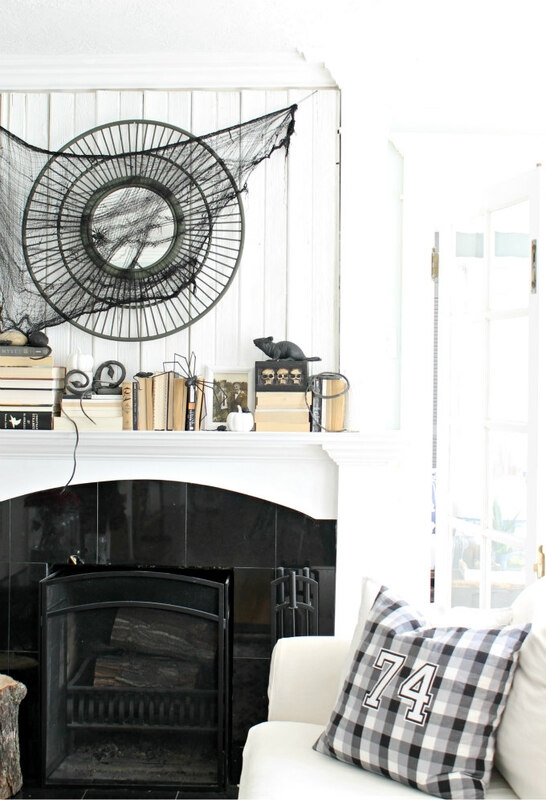 i love the black and white and always love your style!